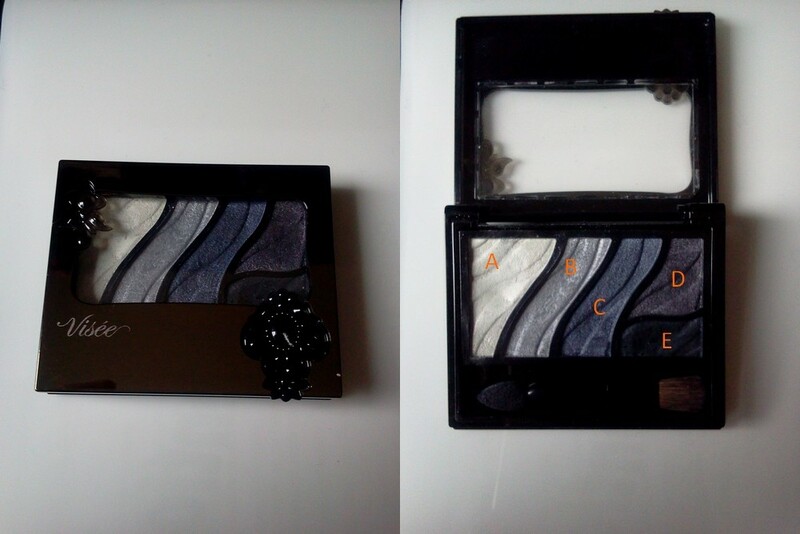 Released for the 2013 fall collection of glamor brand Visée, Smoky Rich Eyes palette includes five tones, in eight variations. 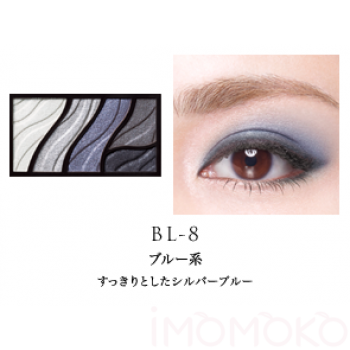 I got myself the BL-8 palette, as I needed a dark blue eye shadow to match some outfit. I really like the design of the package; it is very nice, feminine, and classy. The opening/closure is easy, though weak in my mind, I’m afraid it would open if brought in a long travel. 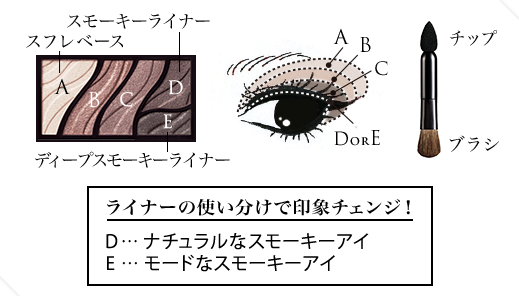 A is a light base with a creamy texture, B and C are the main shadows, giving a not too much glittery color, with a good pigmentation for both of them. D and E are dark liners. All the shadows are well separated to prevent mixing together. I really like this palette. 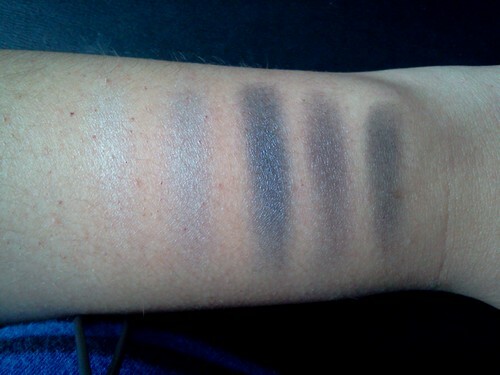 The dark blue has a really good pigmentation and the lasting is good. It won’t stay perfect all day and will makes weird lines on the eyelid after a long time, but still will have the same good pigmentation. 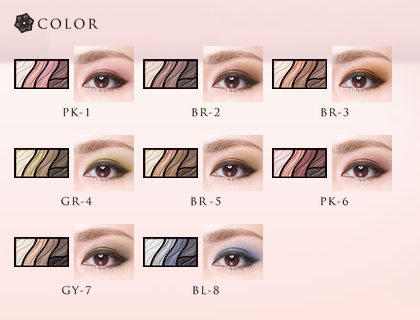 It gives a smooth look that can be worn every day, using one, or both main shadows. The whole shadows can be removed easily except the liners if you have placed several coats. Be careful and very gentle when removing to prevent irritations. I’m recommending this product for the smooth rendering on the skin, and for the nice price of 1470yen. Next Concealer review: Canmake Cover and stretch concealer UV + Giveaway !